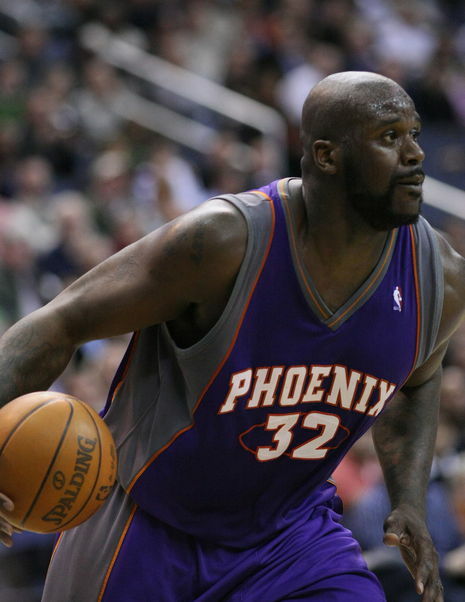 The Cleveland Cavaliers executed a monster trade Thursday to unite the superstars, acquiring Shaquille O'Neal from the Phoenix Suns in hopes he can help LeBron James deliver this seemingly sports-cursed city its first major pro championship in 45 years. The Cavs sent center Ben Wallace and swingman Sasha Pavlovic to the Suns, along with a second-round pick in the 2010 draft and $500,000 in cash, for O'Neal, the 7-foot-1 center who won three straight titles from 2000 to 2002 with Bryant and the Los Angeles Lakers. His fourth title came with Dwyane Wade in Miami in 2006.